Taking a wacky detour from the meatballs and minimal Scandinavian flatpack design that we expect, Ikea is set to release a rug made to look like a receipt. 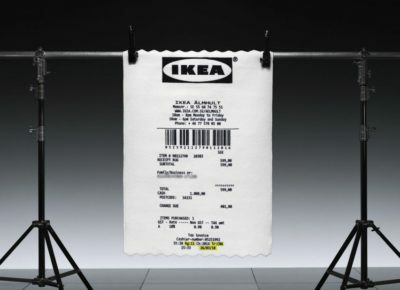 And not just any receipt, but a copy of the very Ikea receipt those purchasing the rug will receive upon buying the product, complete with frayed edges to give the impression of it having been freshly torn. It’s also about parting millennials from their cash, which Ikea’s meta-tastic new collection is specifically designed to do. Though the receipt rug is the centrepiece of the new collection, Abloh has elected to design offbeat variations of all manner of furniture and household objects. Other items include an oversized red doorstop, a Renaissance-inspired glass ‘cabinet of curiosities’ that’s transparent on all sides and a chair that inexplicably comes attached to an orange doorstop. 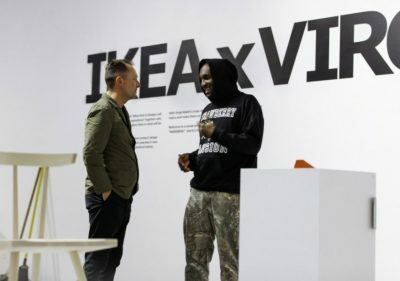 “I’m not content to just make another chair,” Abloh said of the latter. 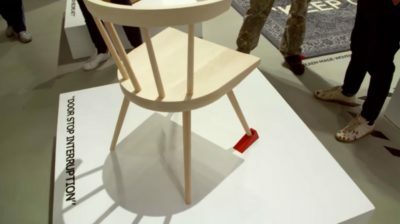 “When we put a doorstop on one of the legs of an ordinary chair we create something unexpected”, and, in Abloh’s defence, he’s 100% correct. The item that’s (understandably) been stealing all the attention, however, is Abloh’s rug, which helpfully displays the price of itself, so anyone who buys it will never be allowed to forget how much hard-earned cash they dropped on a rug that looks like a receipt. The rug has predictably divided opinion on social media. Responses on Twitter range from the despondent, to the intrigued, to the inevitable “Go home Ikea, you’re drunk”, from @KevinPocock. 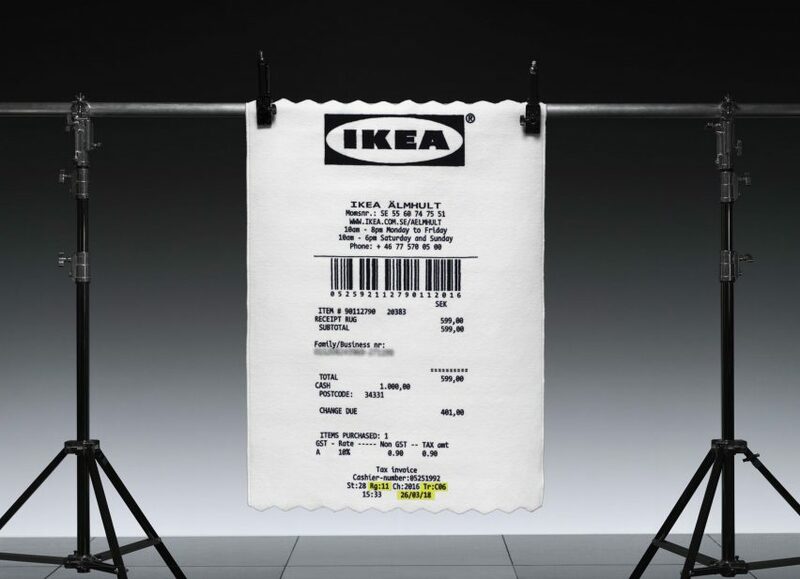 Some are making plans to get their hands on Ikea’s new receipt rug ASAP. “idk why im tweeting about ikea today, but im letting the universe know that i want that Ikea x OffWhite rug”, tweeted @lmaopaolo. Others meanwhile are coming up with novelty design ideas of their own. “If they make a beach towel version, I’m in”, wrote @Mlloyd2010, while @lordofoverstock tweeted “I see your “Ikea Rug That Looks Like An Ikea Receipt” and raise you “A Knit CVS Scarf That Looks Like a CVS Receipt””. It’s not the first time Ikea has decided to push the boat out in terms of its product designs. 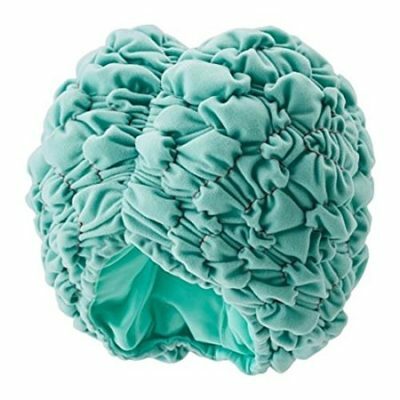 The Lattjo brain hat is exactly what it sounds like, an aqua-coloured hat designed to vaguely resemble a human brain (there’s also the Lattjo snail hat), while the Ikea Fryebo table lamp is a desktop light that resembles a sad one-eyed robot as designed by Pixar. The Markerad collection is currently set to be available for purchase for a limited time starting in 2019. 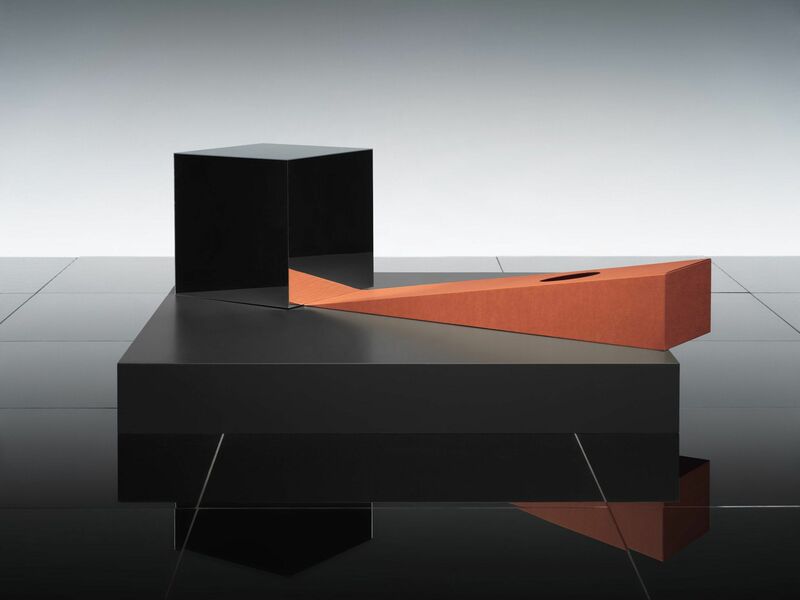 Those of you who need wholly impractical furniture in your lives, get saving now.